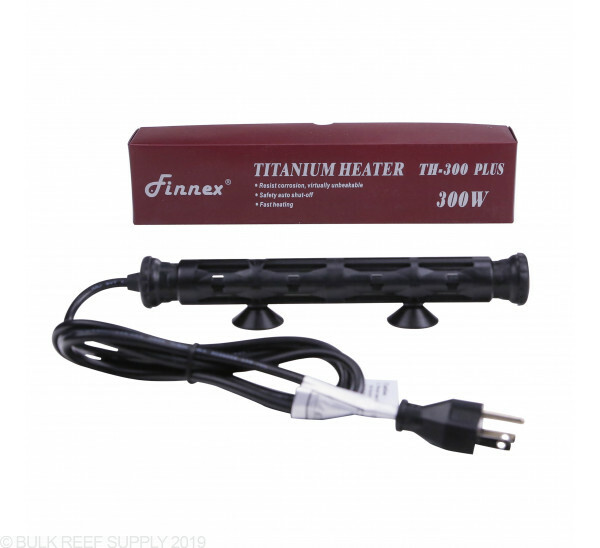 Titanium heating tubes are virtually unbreakable, and corrosion resistant allowing the use in salt or freshwater aquariums. 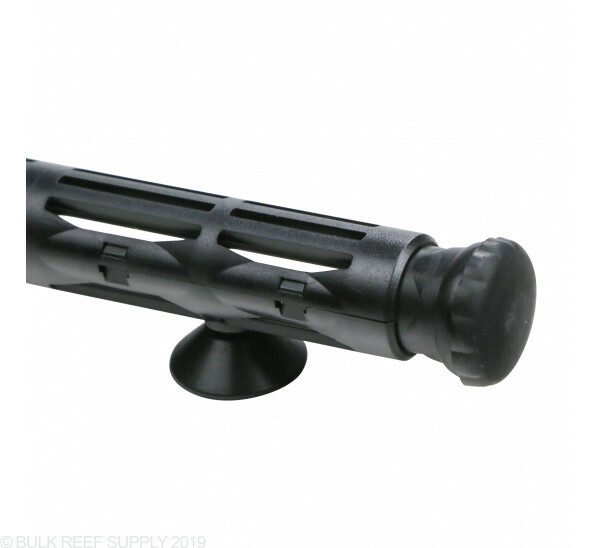 The titanium housing will resist damage a traditional heater would normally encounter while also providing another level of protection with the use of a plastic guard which helps keep other pieces of equipment and livestock from coming in direct contact with the heating tube. 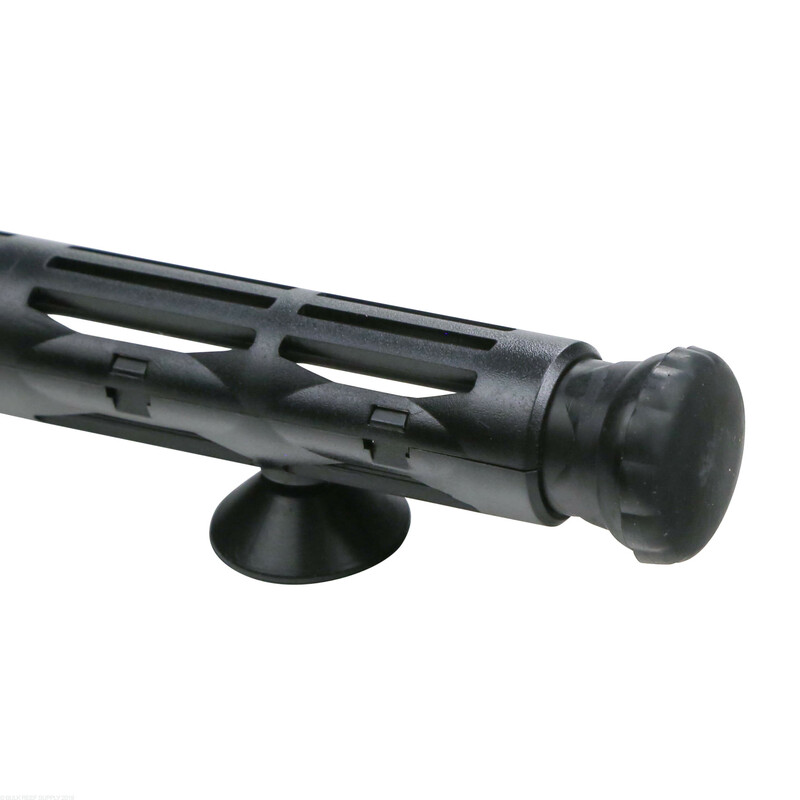 The Finnex TH series of heating tubes do not come with any type of temperature control. 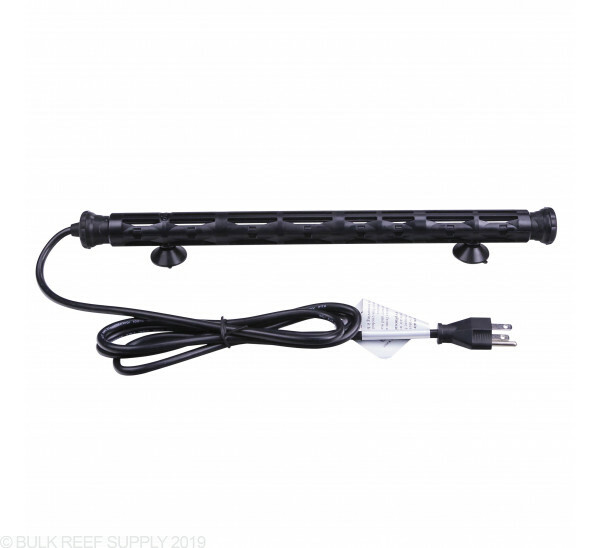 We suggest a simple heater controller like the Cobalt Neo-stat, or our preferred heater controller is a ReefKeeper Lite Controller. Any temperature control device will work, the heaters only require a grounded outlet to plug into. TH-300 300W 2.7 A 40-80 74" 10"
TH-500 500W 4.5 A 70-130 73.5" 14"
TH-800 800W 9 A 140-265 73" 16.5"
Requires Separate Temperature Controller - We suggest using an InkBird Temperature Controller but there are many other temperature controllers that will work well with the Finnex Titanium TH Heating Elements. I am a firm believer that fewer things to go wrong is better. The small size of this heater is also great because it fits almost anywhere. it's half the size of other brands of the same wattage. I like the titanium vs glass so I don't worry as much about cracking. I have two 300w set up for my 90 gal DT in the sump. The first/primary is hooked up directly to my Apex. The second/backup is set up through an Ink Bird controller then to Apex on a separate EB832 Power Strip. The first is four years old and still going; it keeps the water temp between 77.5 and 78.0 degrees with no problem. The second heater is less than a year old and has had little use as a back up. It's set to a lower temperature through the Inkbird controller. Apex Fusion is set to alert me if te backup turns on so I know the primary is failing or has failed. Just about NUKED my tank today!! I had always done my water changes the same, today was my first with this heater. When the heater was exposed to the air it basically cooked the plastic of it and nearly started a fire!!!! I admit that this was a user error on my part and Finnex doesn't cover this kind of damage. This happened within a 5 minute period so I'm only making this review as a warning. My Apex kept the unit on because the water temp was still below 78 degrees during the water change. I have this combined with my digital Aquatics reef keeper lite.. It has been performing flawlessly for over 8 months. 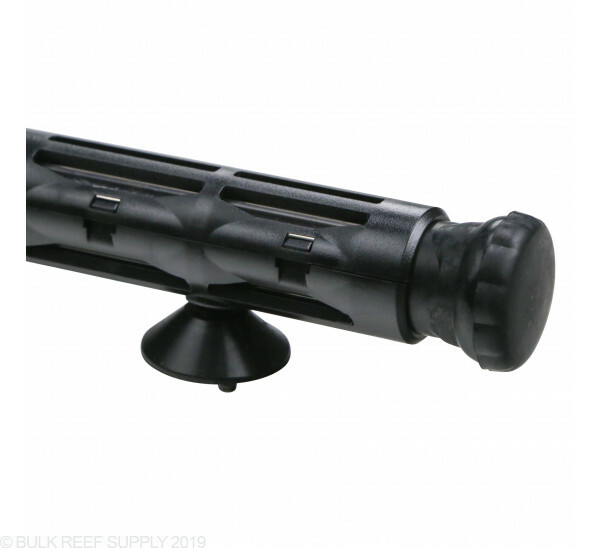 I would definitely recommend this heater to any serious reef hobbyist. I put the 800 watt version in my 220 and got a whole 4 months out of it. Not real happy but there isn't much competition in the 800 watt range. I ordered two more and a separate controller for the second. I have -3- finnex heaters. One has a thermostat and the other -2- I use a Finnex HC 810M temp controller. Couldn't be happier with the heaters and my controllers work great. This is for the 300 watt version. It certainly works, no complaints. Just watch the AMPs. Specs say a maximum of 9 amps; for most of the time my APEX reads 6.7 amps. However, I believe it spikes at times which trips the breaker on the EB832. You cannot run two of these on the same EB832 without it tripping constantly. I recommend several of the 500 watt version as the AMP draw is significantly less. Replacement for several old glass heaters with internal thermostats which fail often. Purchased three of the 300w units - two are in the tank (55 gal), working as a primary and back-up using an Apex controller along with a Ranco digital temperature control. The third heather is on the shelf as a spare, just in case. This works well given the heater price and the time/money/effort invested in the marine tank. I have two of the 500w heaters running off my Neptune Apex (remember you do need some sort of controller with these). The heaters have been rock solid, no issues. I do agree with other comments where the cord could be longer, but otherwise great heaters. I have been running for approximately 10 months. Needed something short to go in the sump but higher wattage than a 100W. Works well with my DYI temperature controller. This and a 100W auxiliary are maintaining an 80 gal DT and a 25 gal sump in a passive solar house that can get down to the low 60s over night. Keeps the water at 78.5 to 79.5. Good heater, no issues. I do wish the power cord was longer. I am heating a 125 gallon aquarium controlled by an apex system. Would you guys recommend the 500w or 800w? Also I could not find anywhere that stated whether or not this heater is full submersible? Great question! I would recommend the 800watt, and they are fully submersible. Would this be safe to use in an acrylic sump? 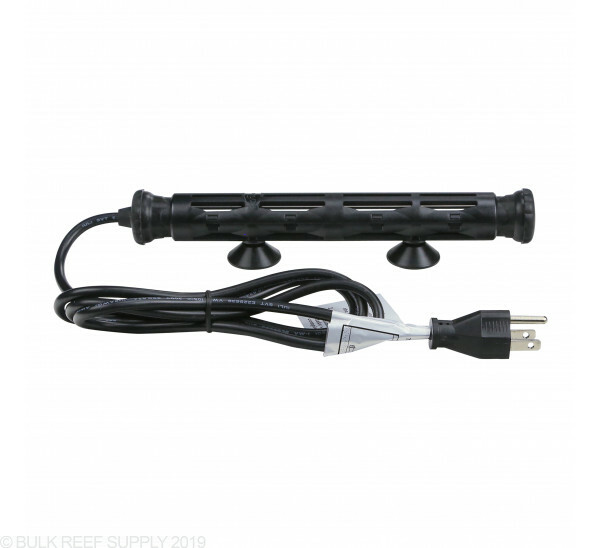 When used in conjunction with a temp controller or aquarium controller this will work great! Feel free to let us know if you have any further questions! 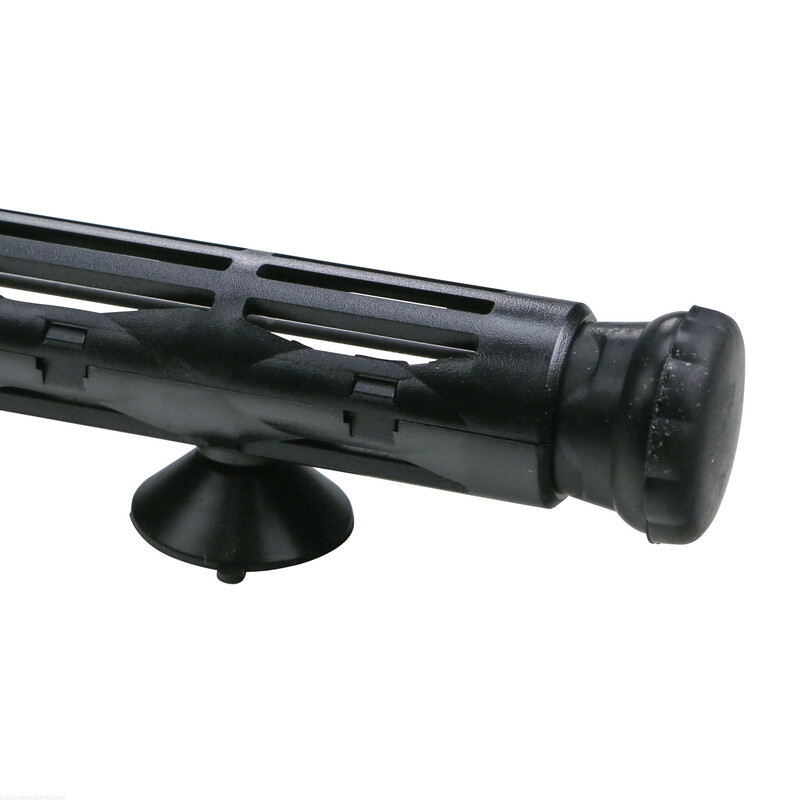 What is the outside diameter of the plastic guard? 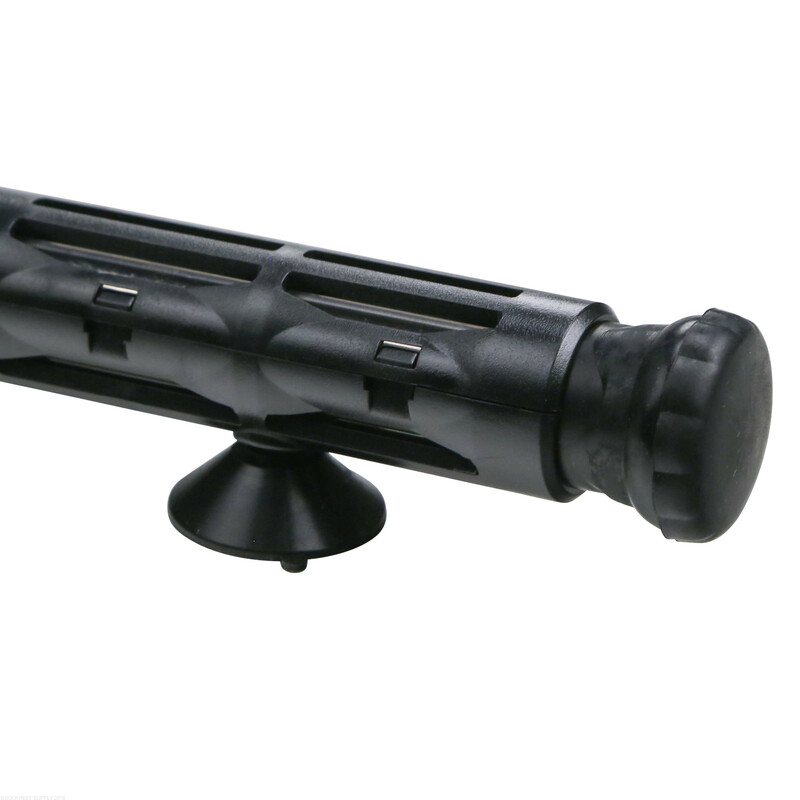 The outside diameter of the plastic guard is 1.13 inches. Is there any kind of indicator on the heater itself, to visually show when it is on or off? The Titanium Heating Tubes do not actually have any status indicator on the heaters or the electrical cord. If you wanted to have an indicator light, you could share the outlet that the heater is plugged into with a small LED light to indicate that it is on. I have only 12 inches in my sump for a heater and my water volume is around 150 gallons. Would using 2 300watt heaters work? I will have them connected to my Apex. 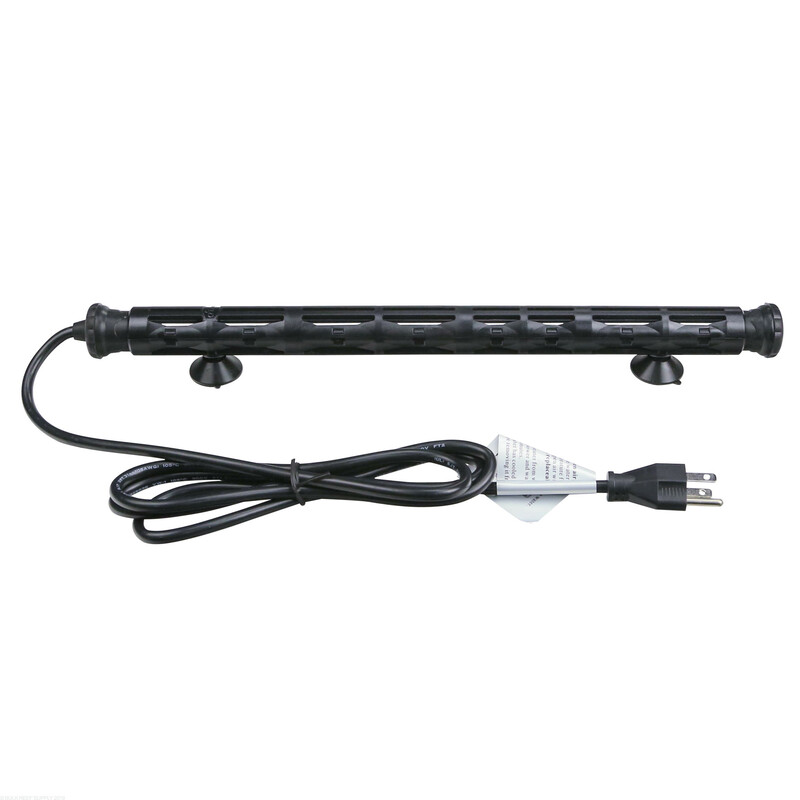 Two of the 300 watt heaters will work great on a 150 gallon tank at the minimum wattage for heaters. Controlling with the apex will help the heaters to run at the correct temperature. Feel free to let us know if you have any further questions! I already have the 300W heater and think it is great. I am upgrading to a 120 gallon tank with ~250 gallons total system volume. If I purchase another heater, should I have them plugged into an extension cord and run that to a single Apex outlet, or should they be run to separate outlets for redundancy's sake? I have never ran two heaters at once. Would a backup heater be required if I have two heaters? We recommend using separate outlets on a controller for a dual heater set-up. I personally like to program one to turn on at say 78 degrees, and then the second one at 77.8 and then the first heater would turn off at 78.4 and the second heater at 78.3. That way it will help keep the power from spiking and also the single heater will generally heat the vast majority of the tank and the second will be more of a backup. That method also helps keep the temp from swinging dramatically. I have a 90 gallon do I need to go with the 500W? 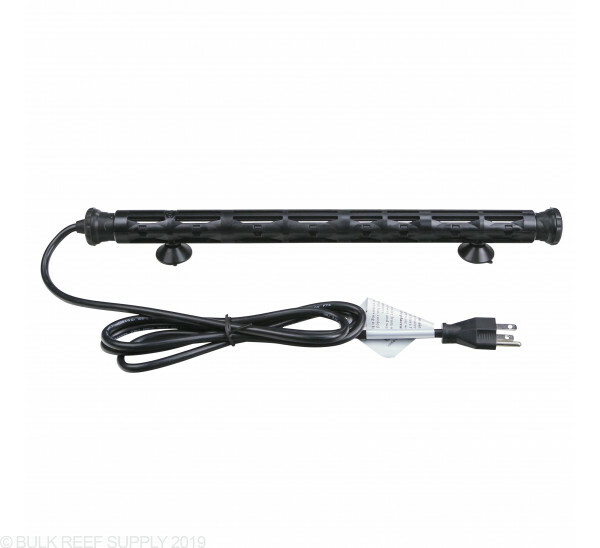 If connecting two 300w heaters to the reef keeper lite, would they both plug into the same controlled outlet via a 2-to-1 adapter or would they each take up their own controlled outlet on the controller? Great question! This should work just fine. I have a 300 gallon which do i use. How would I hook the 500watt heater to the apex? You can plug the heater into outlet 4 or 8 for perfect control. 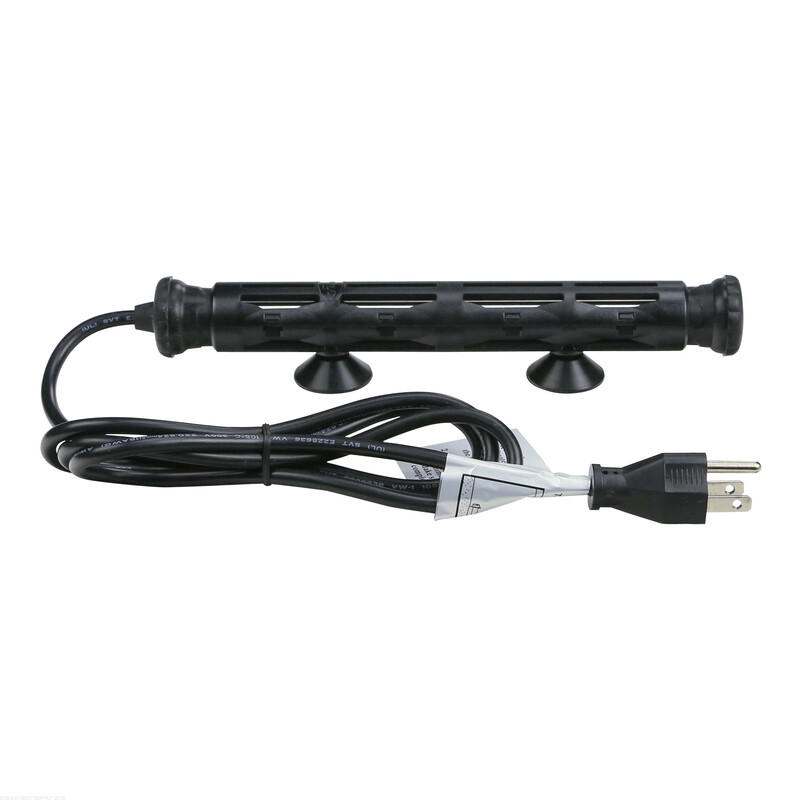 The temp probe can be assigned to the outlet and turn the heater on and off. Feel free to let us know if you have any further questions! I am heating 240 gallon salt water fish tank + 40 gallon sump controlled by apex which heater do you recommend and where should I place the heater in main tank or in the sump? I've several of these, in various sizes, with external controller. They all develop a light-brown, crusty coating on the bottom over the course of several months. This coating is hard and doesn't seem to want to come off. The units still work, but how do I clean them to prevent this from hurting the heaters, if the deposits get worse? Can I sand it off? Can I use some vinegar or stronger acid or base? Can I scrape them? I'd say a contributing factor is that the manufacturer says to lay them on the bottom horizontally...it is in this position that it's close to whatever I have on the bottom, which may not help. Must these be horizontal on the bottom? This crusty buildup you describe sounds like a precipitate which often does form around heaters. 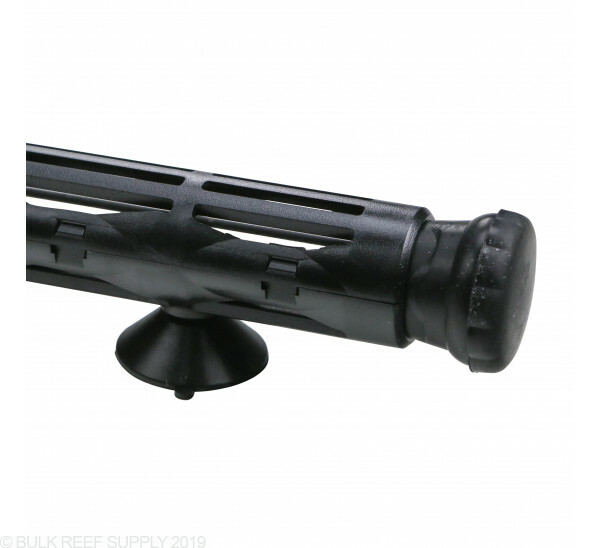 Due to the direct proximity to the heater, particularly at the point where it is near the bottom, this increases precipitation of the minerals in the saltwater, and this can often be seen on other heater types as well. To remove this, a 50/50 mix of white vinegar in a bath for 30-60 minutes will generally dissolve the buildup and allow you to get it cleaned up and back in like-new condition!